This Virtual Office Orlando Research Parkway is in a prime location with easy access and ample parking around the building. Directly located on a lake side with access to a nature trail from behind the building for the relaxing lunch brake. Exclusive executive office space and a very impressive reception area make this location a desired one for the most demanding client. Ease of access and close to mayor highways allow your clients to visit you without any time delay. 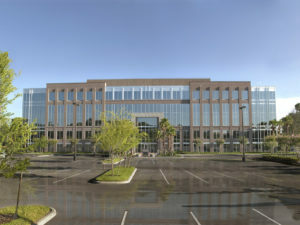 The proximity to the University of Central Florida establish this Virtual Office Orlando Research Parkway as the perfect location for young entrepreneurs and any businesses involved with the university. With only a 25 minute drive to the Orlando International Airport the facility can quickly be reached over the State Roads 417 ans 408 making it also ideal for customers desiring an easy access to the airport. Schedule your tour today by contacting us at 1.866.793.7969 or via email, we will schedule a meeting for you with our management on site. The complete signup process is done online, you have easy access to all your pertinent data in your own web-portal. Add Live Phone Answering or Virtual Assistant Services as you need it.